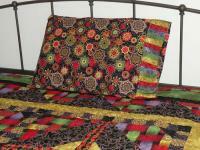 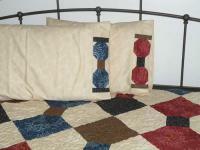 Home Decor is very popular with quilters and Color Blocking is the latest trend. 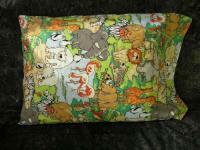 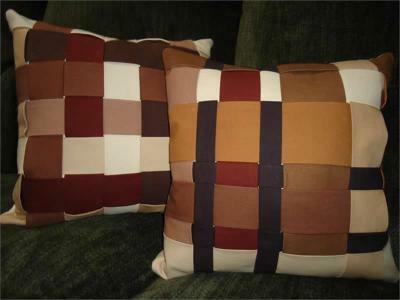 Put the two together with this pillow pattern and the results are two beautiful woven pillows. Note that the fabric is monochromatic for a contemporary look. 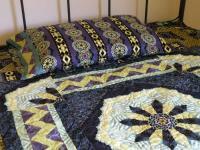 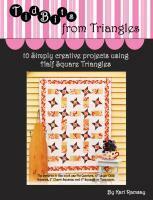 This quilt pattern is fast, easy and fun.